Affordable for Any Sized Business. 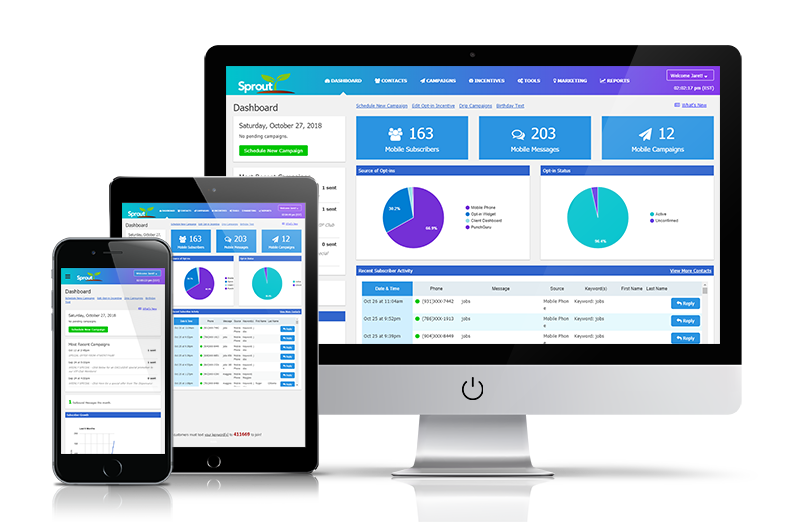 Developed over 11 years, find out why Sprout is the most complete and trusted CRM on the market. Sprout is loaded with useful, intelligent marketing tools that allow users to quickly and easily create stunning campaigns and automate their marketing. But that’s not all, when you buy Sprout you will also get the most amazing customer support around! Gain 360 degree view on your customers and patients. Send the right message to your customers at the right time. Engage Your Customers: Before Anyone Else Does! Instantly send the right message at the right time and drive customer engagements and customer loyalty! Segment your customers and create client personas. Easily create groups and targeted marketing lists. Build your brand with rich multi-media content sent directly to consumers cell phones. Integrate with social media and capture more leads and prospects. Use our mobile landing pages & in-store digital kiosks to grow your lists. Generate more in-store purchases or online orders with our easy to use loyalty platform. Get set up in minutes! Opening a new dispensary or launching a new brand? The cannabis business is well suited for direct marketing and if you’re not focused on building a database of consumers and patients, then you’re missing out on opportunities to grow your business and build your brand. 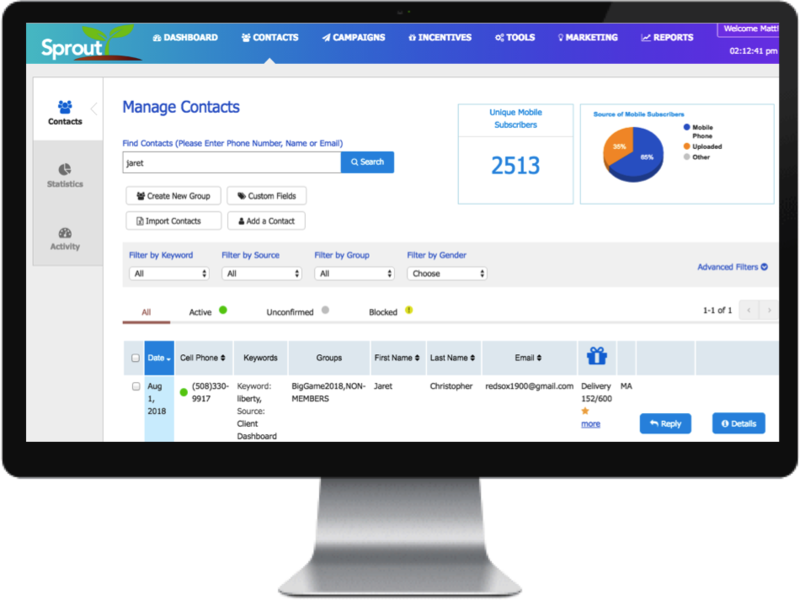 Start building a large marketing database today! 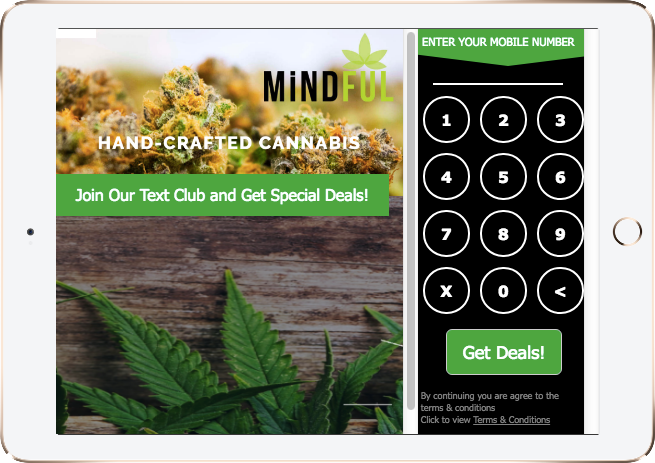 Create a successful launch of your new dispensary or cannabis brand!